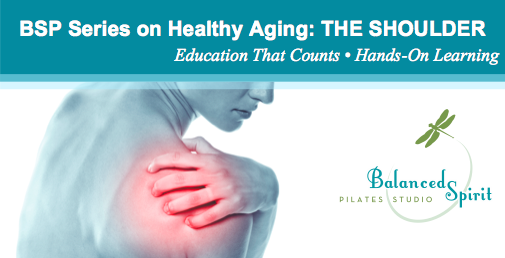 Join Melissa and Jim on Saturday, September 26th at 10a for a frank discussion on aging as we explore the Shoulder, its role, function, and dysfunction. Wear comfortable clothing for this two hour workshop as you’ll be led through tests, exercises and the best manual therapies taken from the American Academy of Orthopedic Surgeons (AAOS) Guidelines for 2015. Small classes fill quickly. Call 777-8001 to reserve your spot.